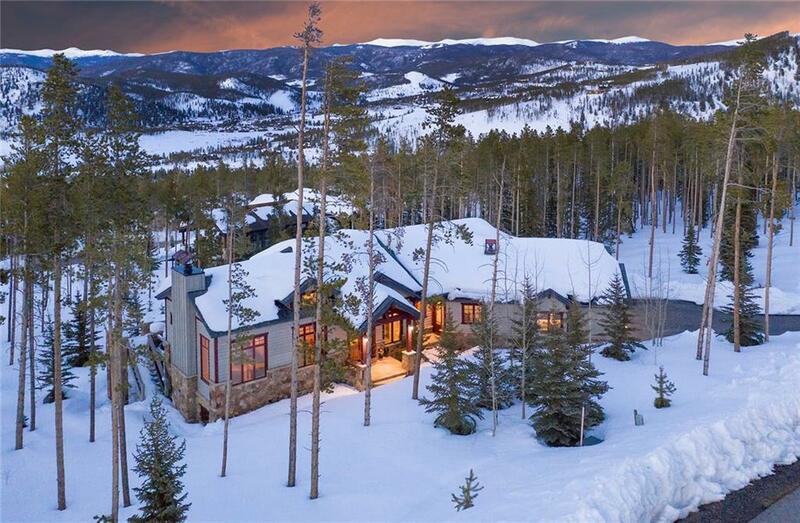 Exquisite mountain residence perched on a sun drenched homesite with sweeping panoramic views of the mountains, valley, Lake Dillon and beyond. Featuring brilliant architectural design, including dramatic great room with walls of glass and custom finishes. Natural stone fireplaces, graced with two stunning master retreats, spacious family room, study and 3-car garage. The home movie theater and outdoor living space with hot tub and gas fire pit offer great entertaining opportunities. Driving Directions: Highlands Drive To Preston Way, Preston Way To Golden Age, Golden Age To Byron Ct. Left On Byron Ct. Home Will Be First One On The Left.